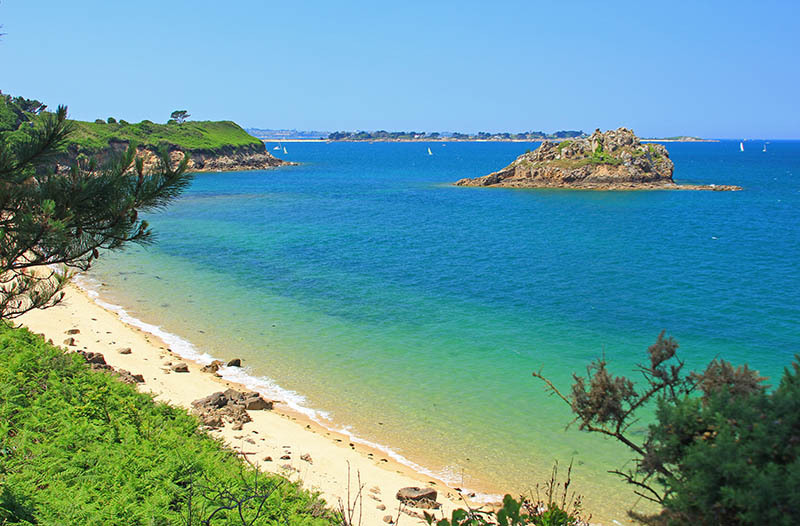 The coasts of Brittany alone represents one third of the French coastline. How then, can you resist the temptation to return again and again to explore all its riches! Its wild nature, a symphony of flowers and the blue of fine days, can suddenly display a rage of foam under constantly changing light. 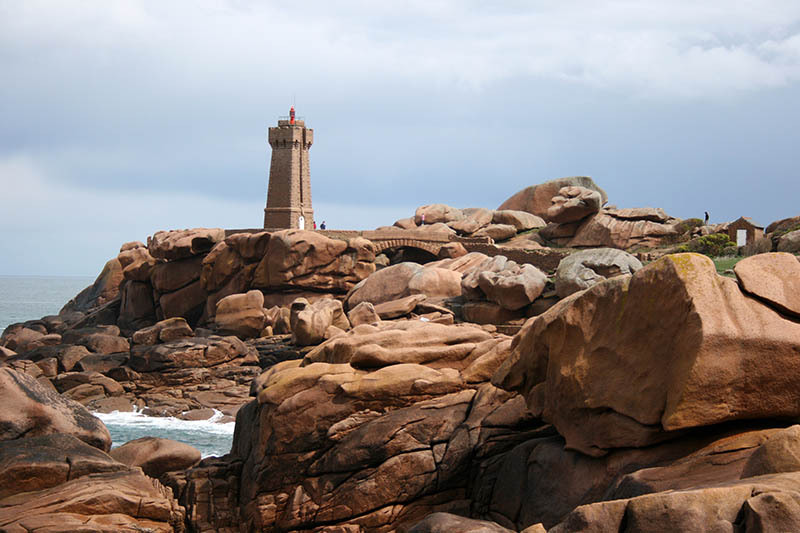 The only resistance is the granite rocks and ports laden with human history. 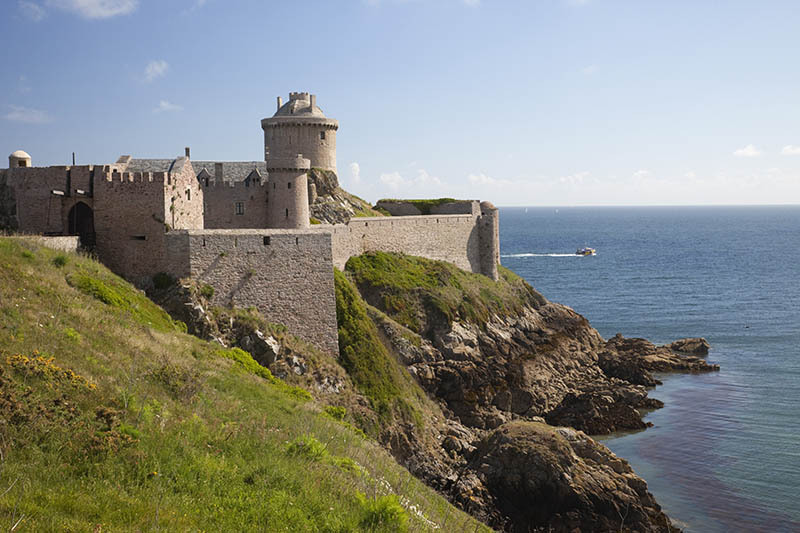 Come and explore northern Brittany, with its headlands, lighthouses and forts that refuse to turn from the sea. 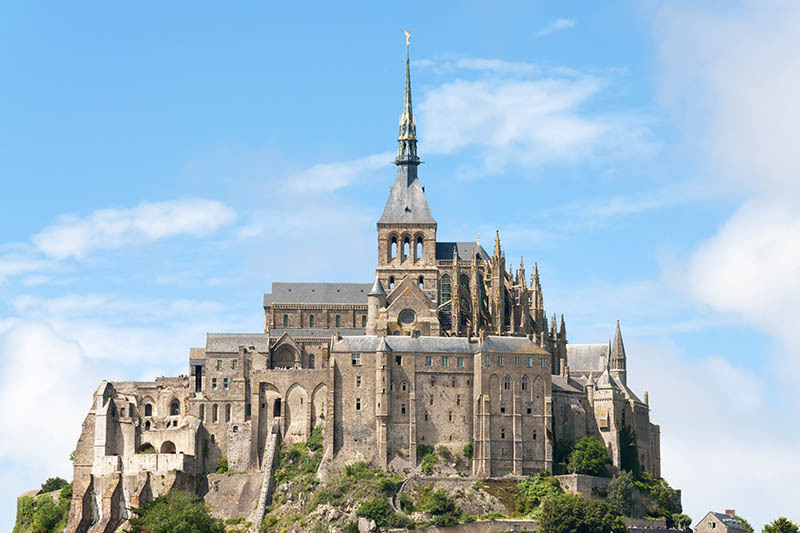 To preserve the site of Mont-Saint-Michel, access is now via a long walk or shuttle system. On the island, don’t miss the abbey and its cloister and enjoy a tour of the ramparts to take in the view. A guided tour unveils the secrets of this legendary place. 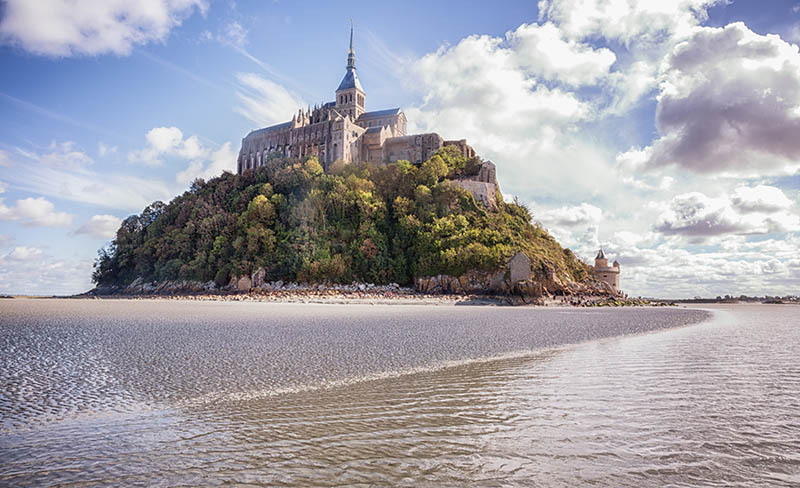 For the full experience, spare some energy for a guided hike in the fascinating Bay of Mont-Saint-Michel. 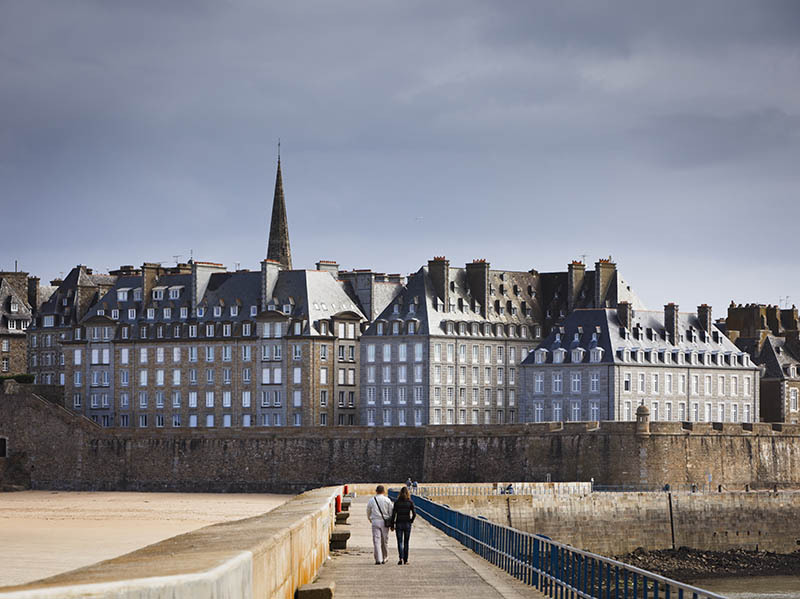 The medieval square of Dol-de-Bretagne recalls the history of this episcopal city with its impressive cathedral, the construction secrets of which are revealed at Médiévalys. At 2km, Mont Dol offers a unique view of the bay and marshes. 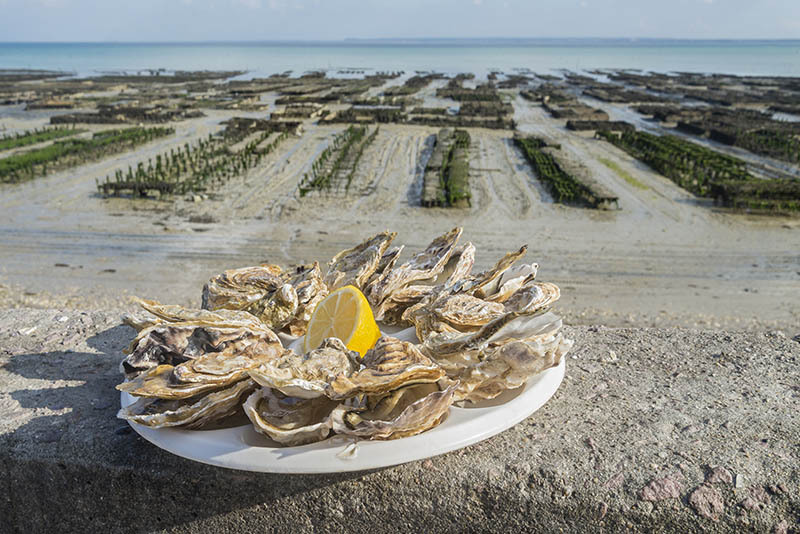 After sampling oysters at Cancale, head to Pointe du Grouin, another unmissable view. 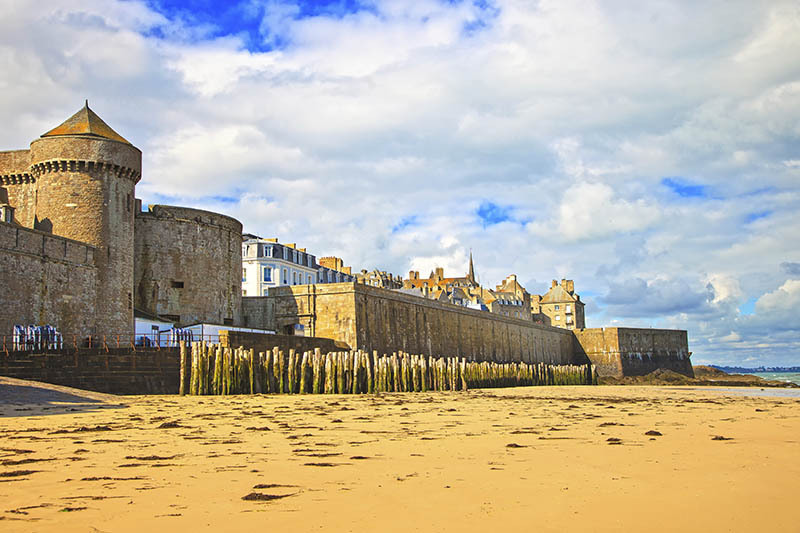 Next up is Saint-Malo, the Corsair city! Circle the ramparts and its passage to the City History Museum, before getting lost in the intramural city. Low tide reveals the beach access to the National Fort. 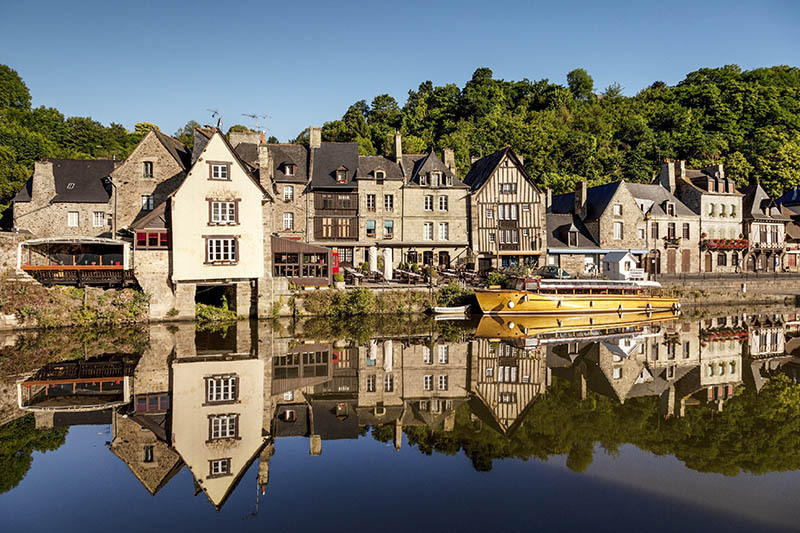 After a morning stroll along the port and the beach at Saint Malo, walk along the right bank of the Rance estuary to reach Dinan. 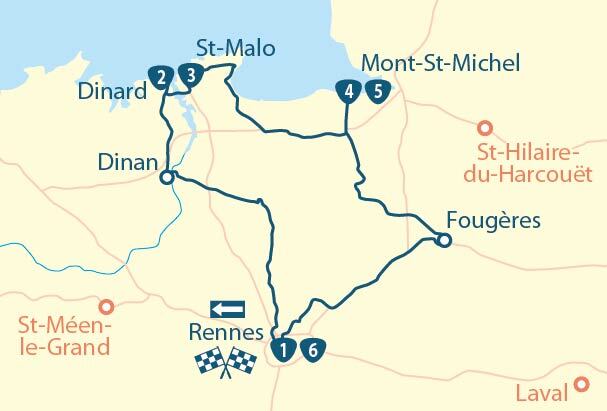 A few hours will be enough to explore its old town in the heart of the ramparts as well as its picturesque port, accessible via the medieval streets of Petit-Fort. 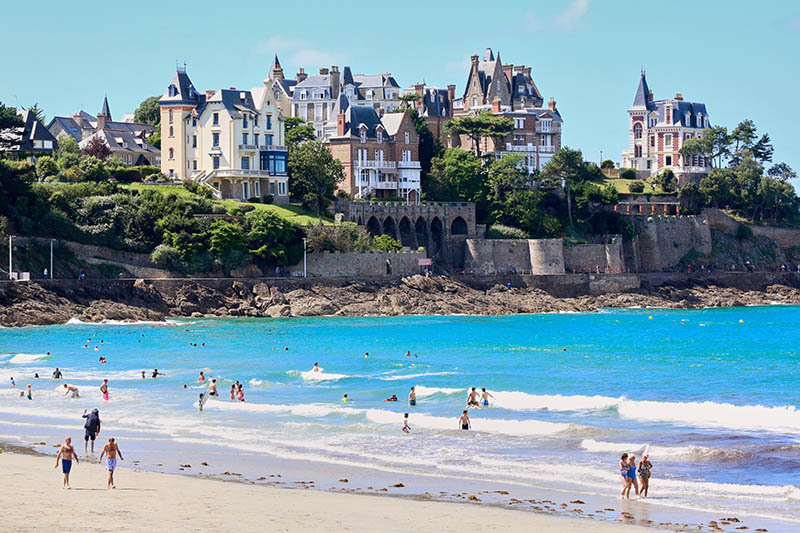 Further charm awaits in Dinard, with strolls along beaches bordered by elegant 19th century villas. 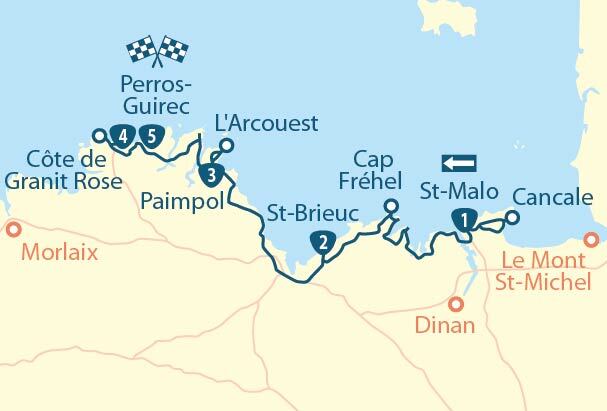 There’s also the option of a spa treatment or a small coastal bike ride. 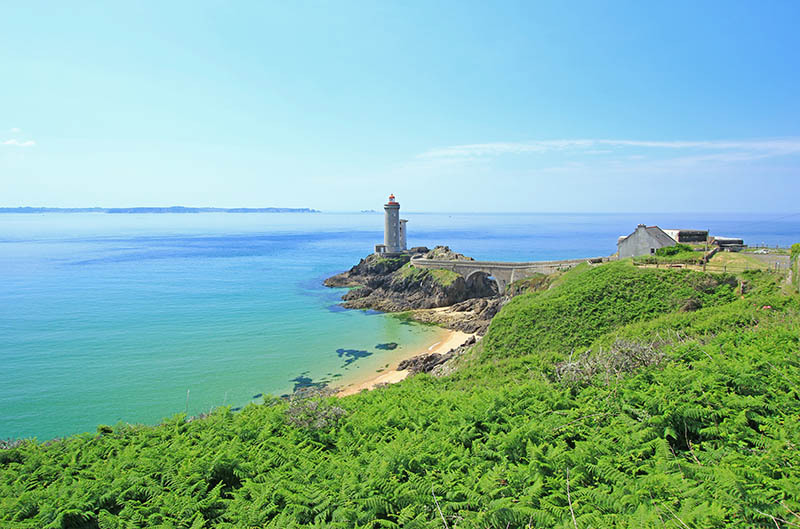 Take time to walk along the Emerald Coast to Cap Fréhel, from the beautiful beaches of Saint-Lunaire to the steep peaks of la Gard and Saint-Cast. 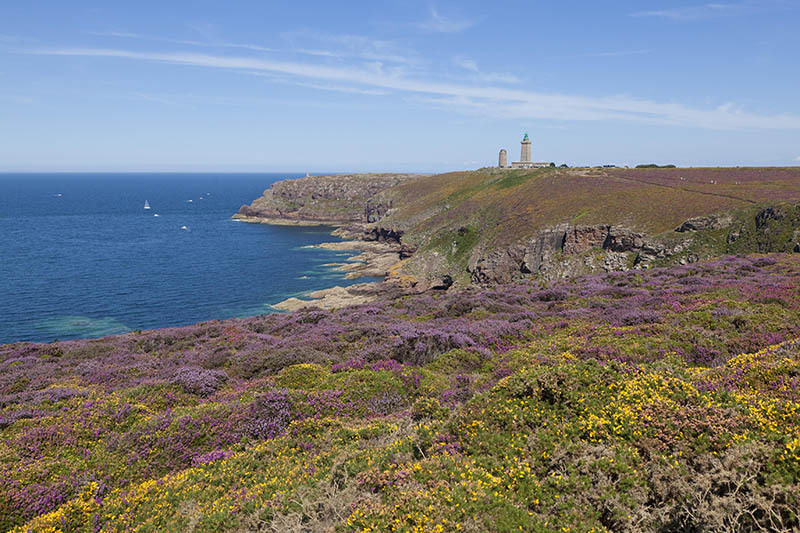 With 70m of pink sandstone cliffs, heath moorlands colonized with birds and Fort La Latte commanding the raging swell, the Cap is particularly popular with walkers. But Saint-Brieuc warrants a visit for the old centre around the cathedral. Finally, on to Paimpol, where you’ll find the 16th century mansion. Enjoy an evening on the harbour after visiting the abbey in Beauport. It’s hard to resist the charm of Bréhat. This small island, when not suffering peak tourist traffic, offers charming bike and boat rides. Return to the mainland for Tréguier with its splendid Saint-Tugdual cathedral and its harbour sheltered at the foot of the estuary. On the opposite bank, the Kerdalo Botanical Gardens offer a total escape. 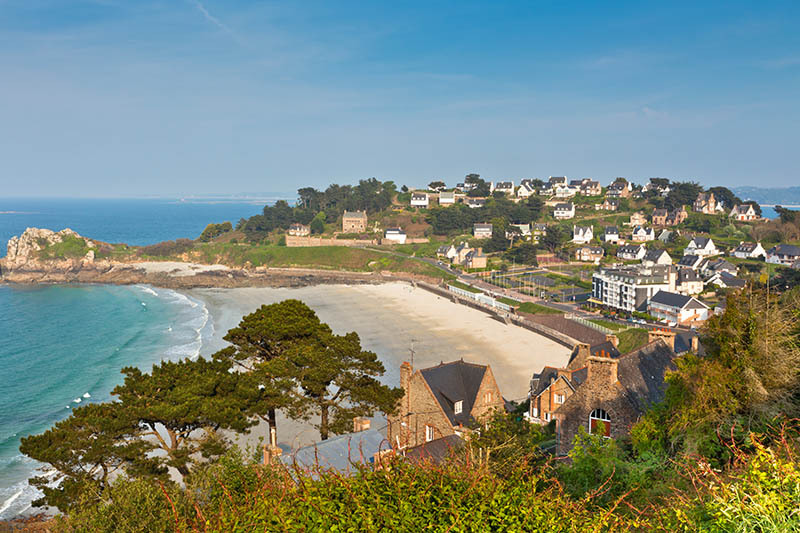 The popular beaches of Perros-Guirec offer a change of scenery. 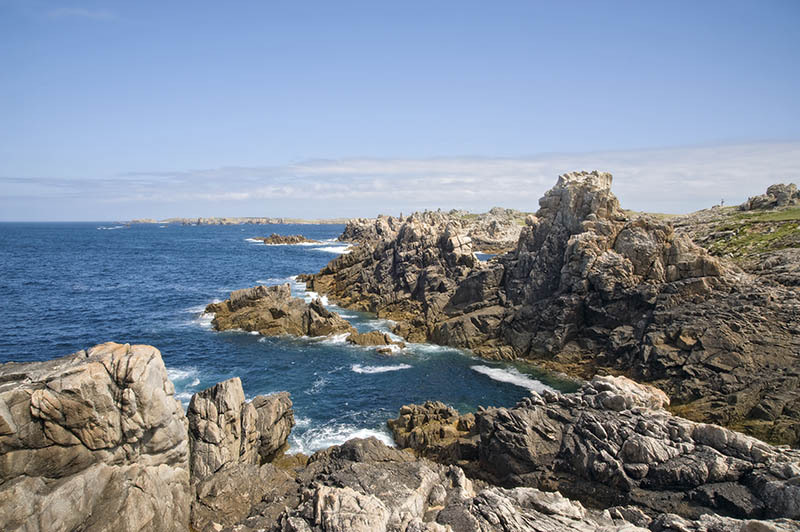 The star of the show is the coastal path that reaches the smooth rocks of Ploumanach via a 1h45 walk along the Pink Granite Coast. 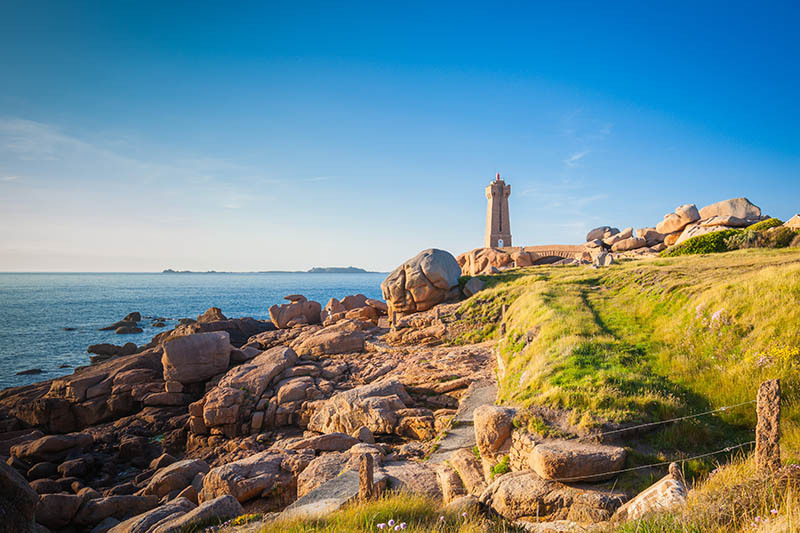 From Perros-Guirec to Pointe de Bihit, the rocky lacework of the Pink Granite Coast reveals a landscape of coves and trails enjoyed by walkers, whilst the beaches and the aquarium in Trégastel make it a family-friendly resort. En route to Lannion, the Cité des Télécoms and its listed radome antenna is a fun and exciting museum park. 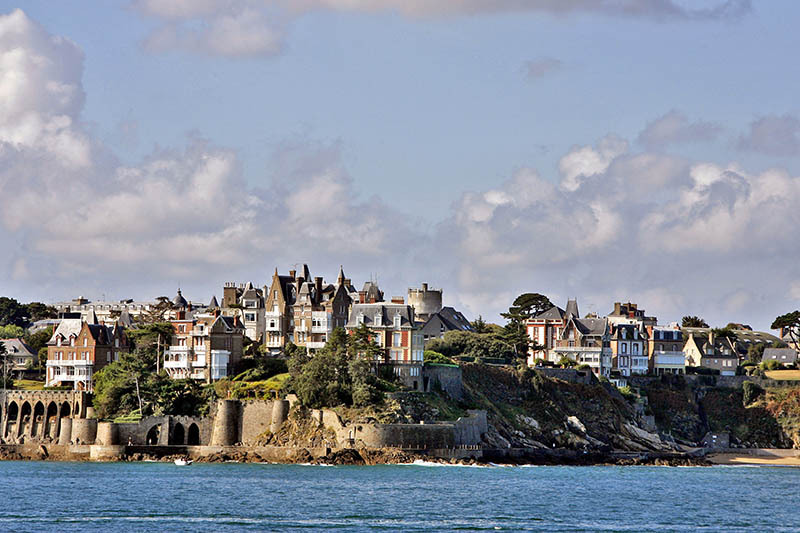 Head next to old Morlaix to visit the famous house in Pondalez to view its viaduct, a magnificent architectural testimony. Just a few kilometres away is Monts d’Arrée, where parish enclosures such as Le Cloître de St-Thégonnec, recount a barren and mystical Brittany. 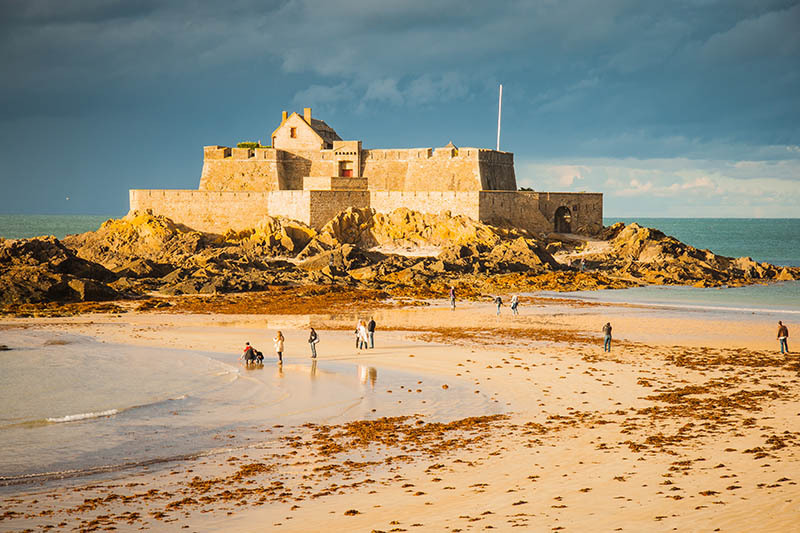 Ideally, you should explore the Bay of Morlaix at low tide, going up to Carantec. As well as superb views of Château du Taureau and islands transformed into an ornithological reserve, you can enjoy the beautiful beaches lined with villas. Saint-Pol-de-Léon is worth a visit for its harbour, old cathedral and panoramic views from the steeple of Chapelle du Kreisker. 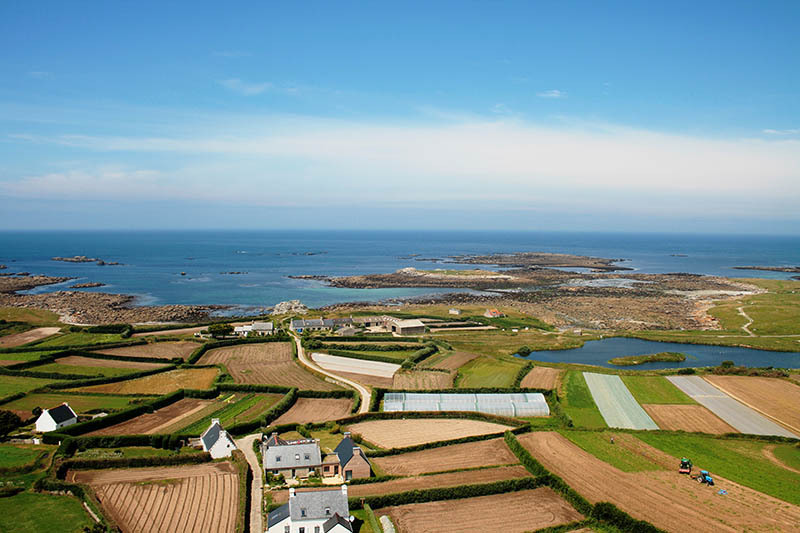 You can also watch the bay from the promontory of the exotic garden in Roscoff, before losing yourself in the town’s narrow streets of beautiful granite houses. 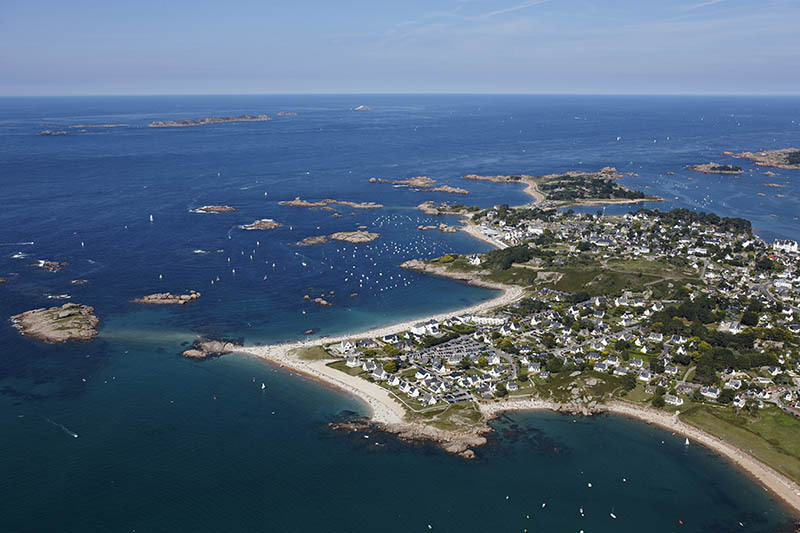 The charming port of Roscoff is also the boarding point for an excursion to the Île de Batz. Hire bikes to get around and enjoy the beaches. Head southwest with a stop at the striking Basilique de Folgoët before reaching the majestic bay in Brest, clearly visible from the cable car. Take the tram to explore the city centre via la Rue de Siam and to visit the various museums. There’s something for all tastes with the naval museum and naval base, the Museum of fine Arts or the astonishing botanical conservatory. Do not leave without visiting Océanopolis, the aquarium and research centre in Brest. Located near the marina, it houses over 10,000 creatures spread across various pavilions. Allow at least 3 hours to get around. 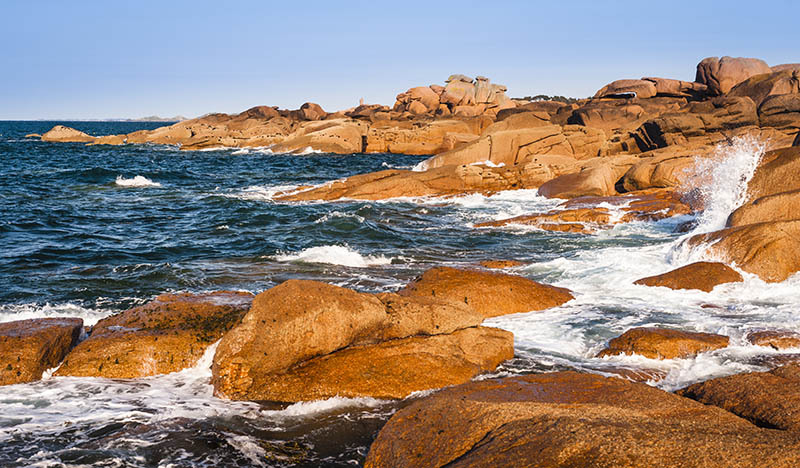 Approximately 30kms away, you can explore the beauty of the Pointe de Saint-Mathieu coastline. 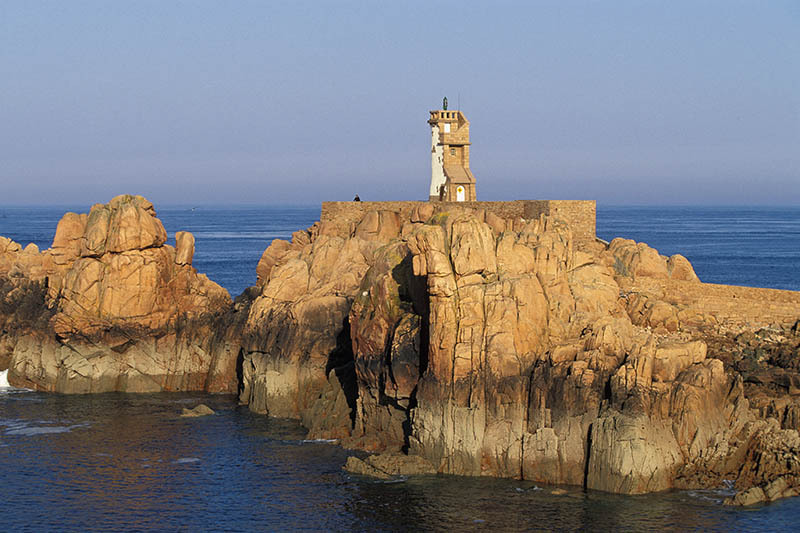 Climb the 163 steps of the lighthouse to take in the vast view of Finistere. 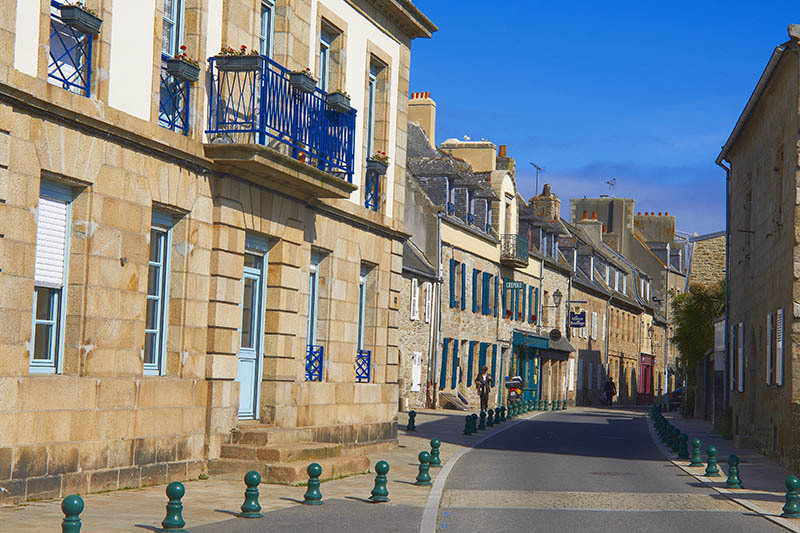 The lovely port of Conche offers pleasant walks and is also the boarding place for the Île d’Ouessant, a must-see excursion for lovers of Brittany. 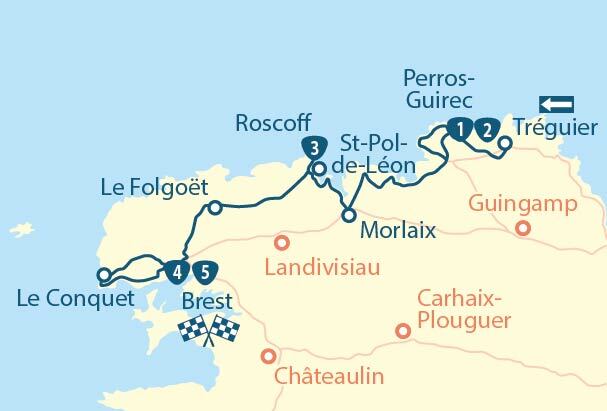 From Mont Saint Michel to Brest through Saint Malo and Perros Guirec by the sea – a tour with stages in Northern Brittany, offered by MyTripTailor, the specialist in self-guided trips. Customize the stages of your tour and choose your accommodation, services and activities, there and then and in one go!